golf course. 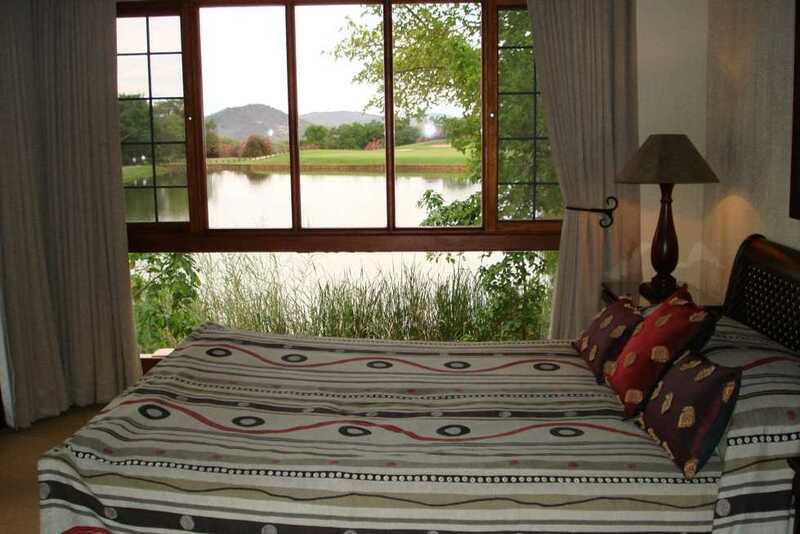 It’s one of our very best lodges with the most incredible views from the main bedroom over the dam. 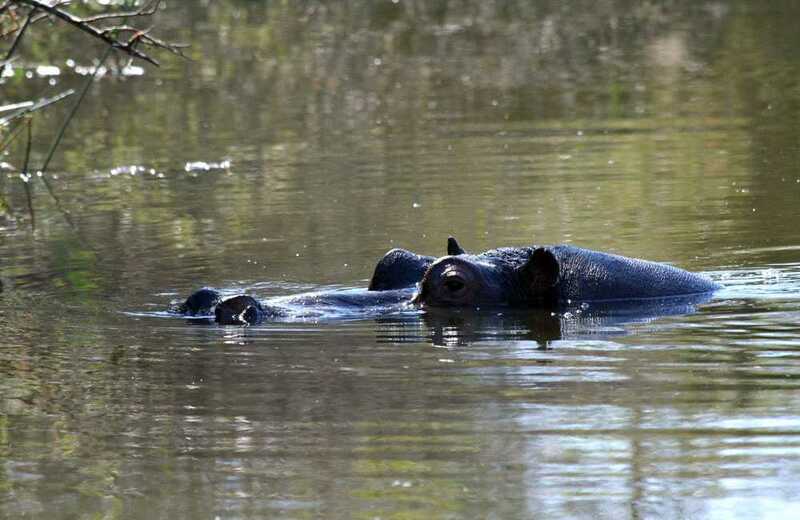 Situated in the Kruger Park Lodge Resort which borders on the Sabi River and is teeming with birdlife, free roaming Impala and monkeys, with hippo and leguaan in the nearby dams. 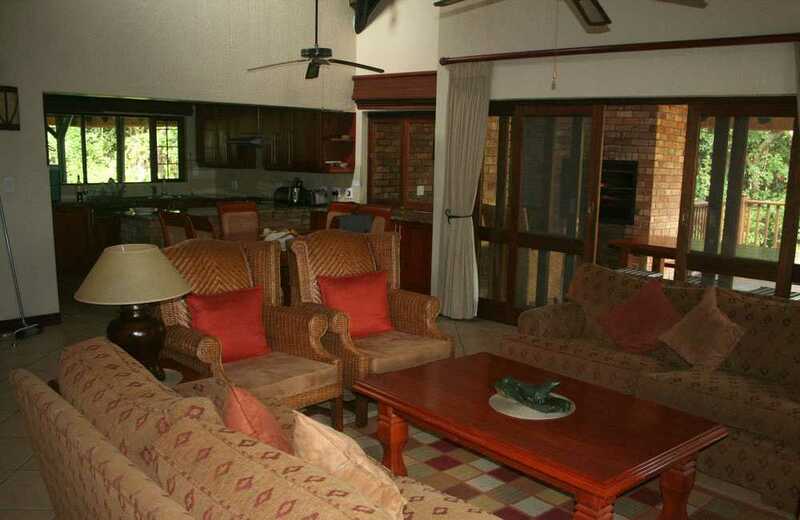 Three fully air-conditioned double bedrooms with en-suite bathrooms. An open plan lounge/dining room with a gas fireplace, TV and DVD adjoins the fully equipped kitchen with dishwasher, washing machine, tumble drier, microwave, and double door fridge/freezer. 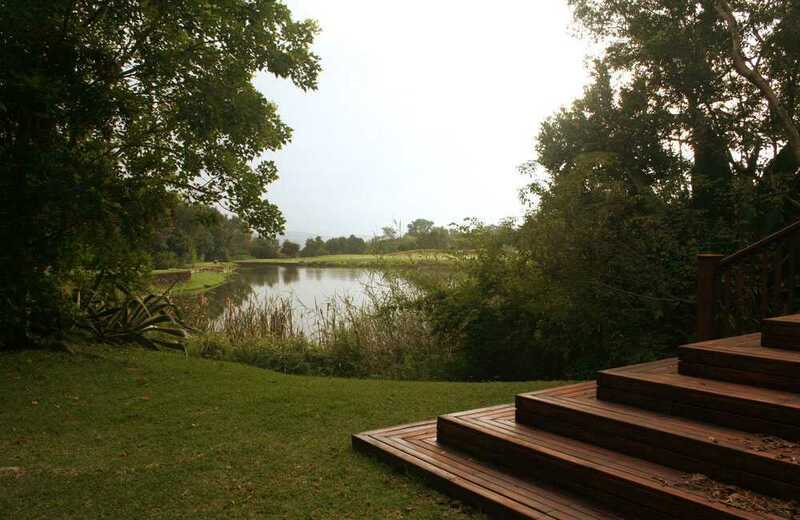 The large wooden deck, overlooking the dam provides tranquil views across the valley and boasts a built in braai. The house is also fully mosquito gauzed. 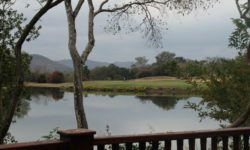 Full access to all facilities at the Lodge, which include a 9 hole / 18 tee golf course, 3 swimming pools, tennis courts, a putt-putt course and other activities close by. Breakfast, lunch and dinner are available at the on-site restaurant. 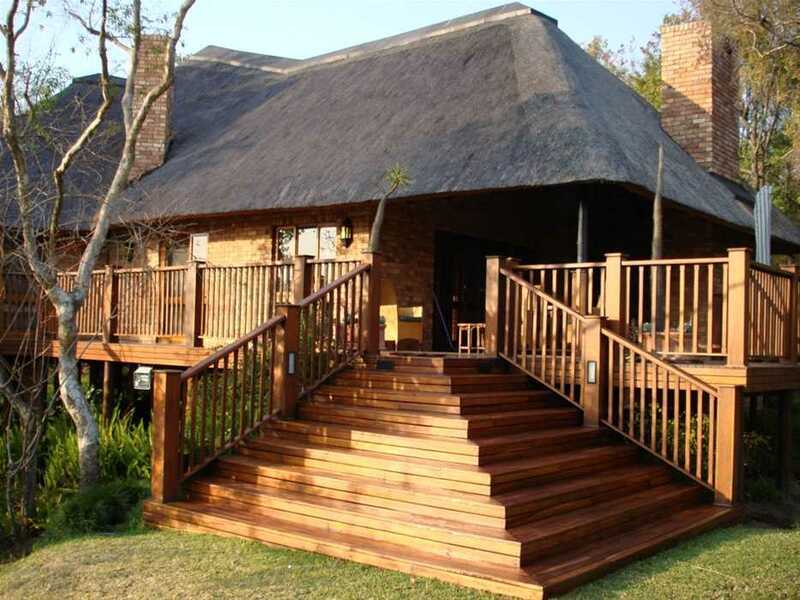 ‘It’s a wonderful day at the Kruger Park Lodge’ – the standard greeting when phoning through to one of the best resorts in the country and a more truer saying there could not be. 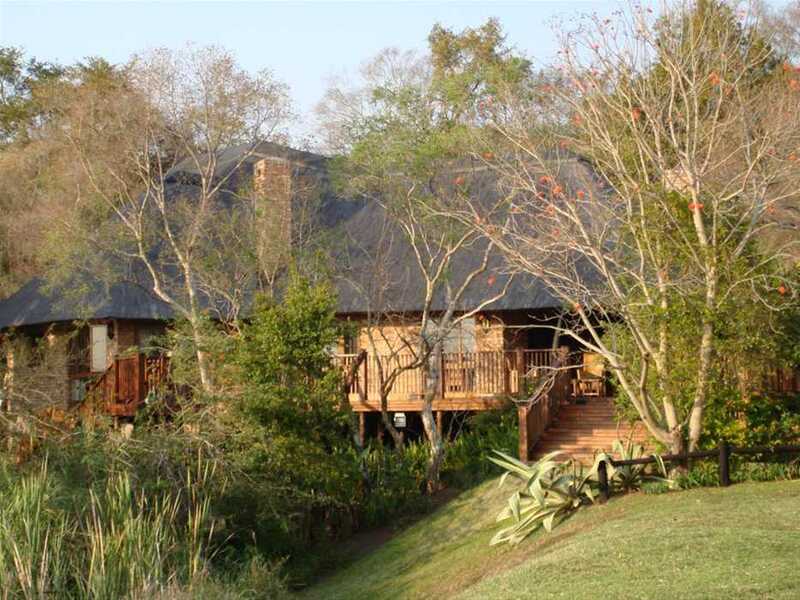 For 17 years we’ve been coming to the Kruger Park Lodge and I know we’ll keep coming back year after year for as long as we can. It’s the most special, peaceful place you could dream of coming to. The sunsets are one of the best in the world with the hazy mountains of Hazyview surrounding the resort. It;s the perfect place to get away from the cold Joburg winter in June / July as temperatures are often in the high 20’s – it honestly feels like summer!! 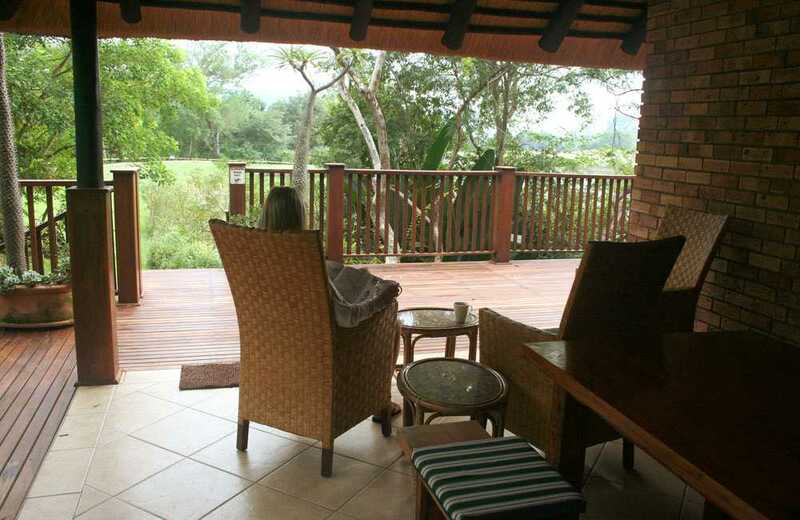 The Phabeni Gate is only 10 minutes away making a trip to the Kruger National Park a must … go in at 06h00 .. drive just short of 2 hours to Skukuza, have a wonderful breakfast overlooking the Sabie river and make your way back to the Kruger Park Lodge in time for lunch. It’s a place you’ll want to go back to time and time again. 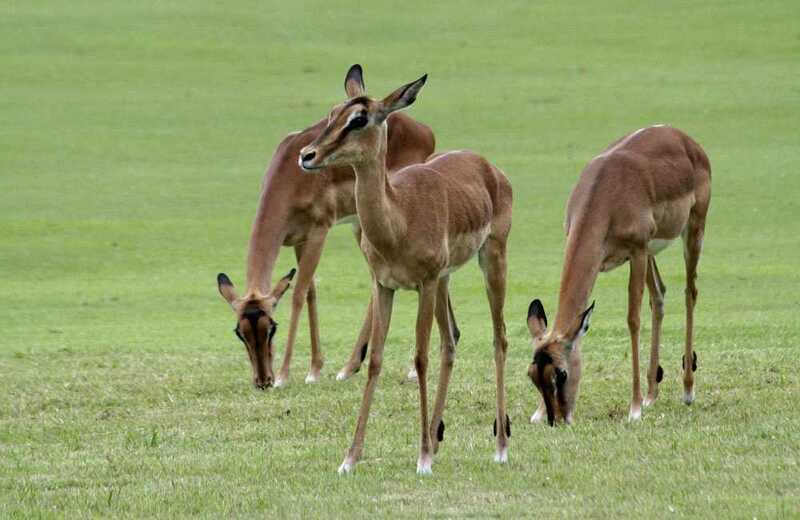 One of the highlights of your stay is certain to be an excursion to the Kruger National Park – one of the most eminent game parks in the world. 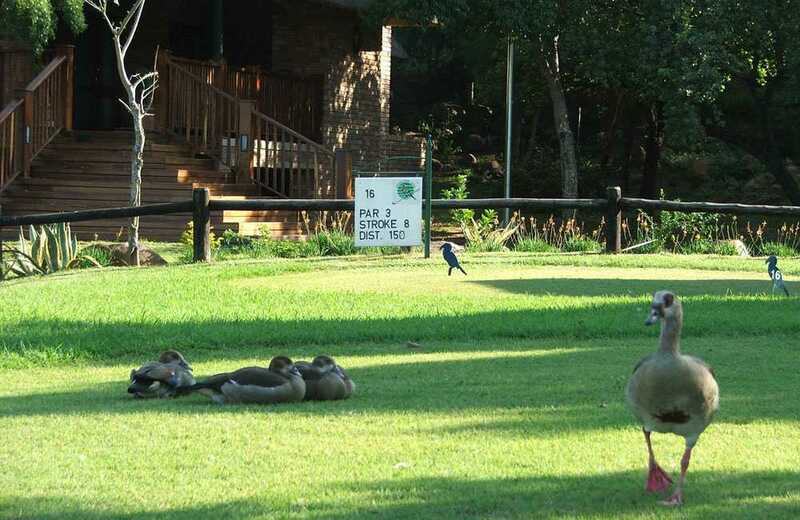 The Phabeni Gate is only a 15 minute drive from Kruger Park Lodge. 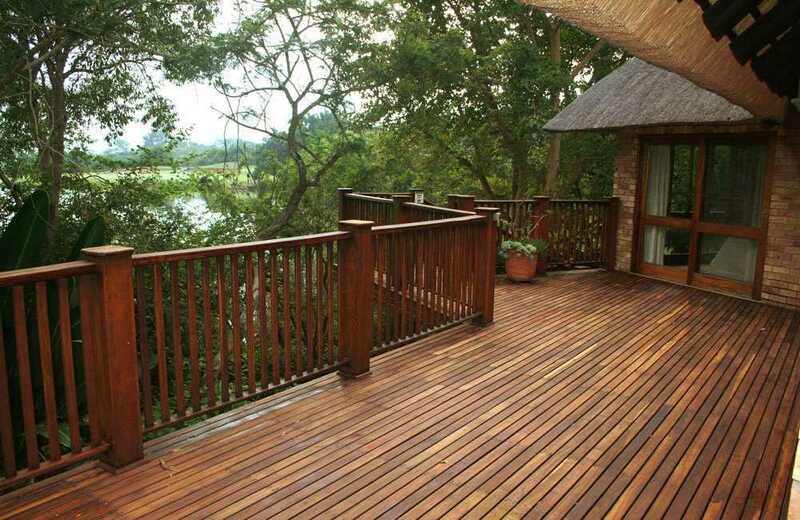 Mpumalanga,the place of the rising sun, is one of South Africa ‘s fastest growing provinces. Most people are attracted by the splendid panorama, others by the fauna and flora, and yet others by the saga of the 1870’s gold rush era and a wealth of fascinating tribal legends. 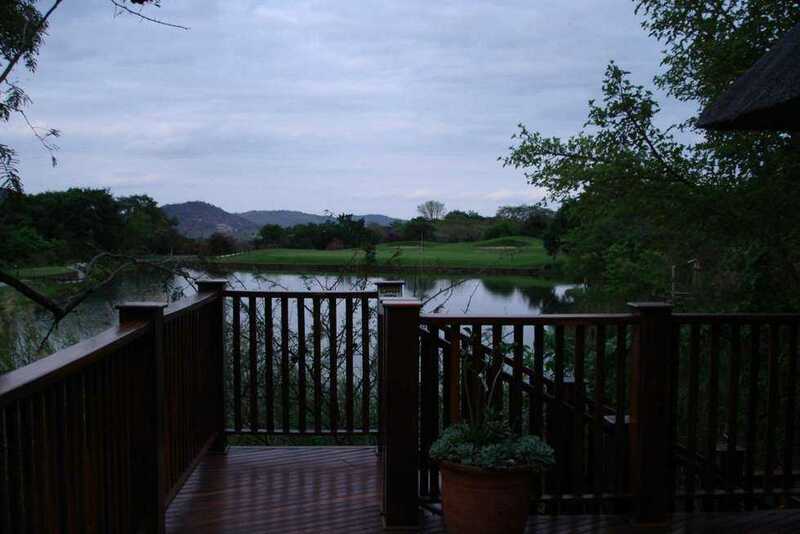 Appropriately branded as ‘Paradise Country’ a small number of regions in the world can contest the extraordinary beauty of the lowveld and escarpment. Mountains, panoramic passes, valleys, rivers, waterfalls and forests typify the landscape. This is also Big Game country, the setting for dozens of sanctuaries teeming with wildlife and birds. Among them, the Kruger National Park is world renowned, as are several of the luxurious private reserves on its western boundary. 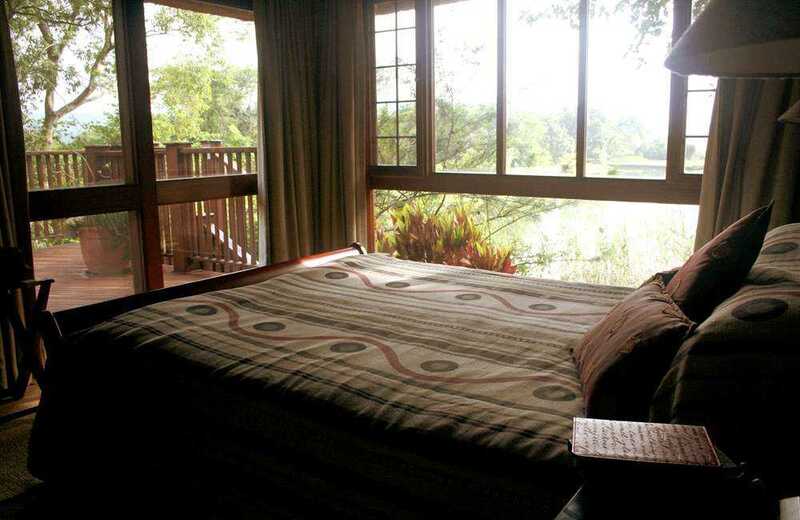 The entire area offers incomparable opportunities for bird watching, hiking, horse riding and fishing. Streams once panned for gold have become the haunts of eager anglers and lazy trout. Steeped in the history of pioneers, hunters and fortune seekers, fascinating gold rush towns abound. Barberton and Pilgrim’s Rest are among the most famed. A unique, additional dimension occurs in the Middleveld region, which is occupied by the Ndebele people, noteworthy for their traditional gear and attractively decorated houses. En route to the Kruger National Park through Mpumalanga , you have the opportunity to see breathtaking vistas of the locale. 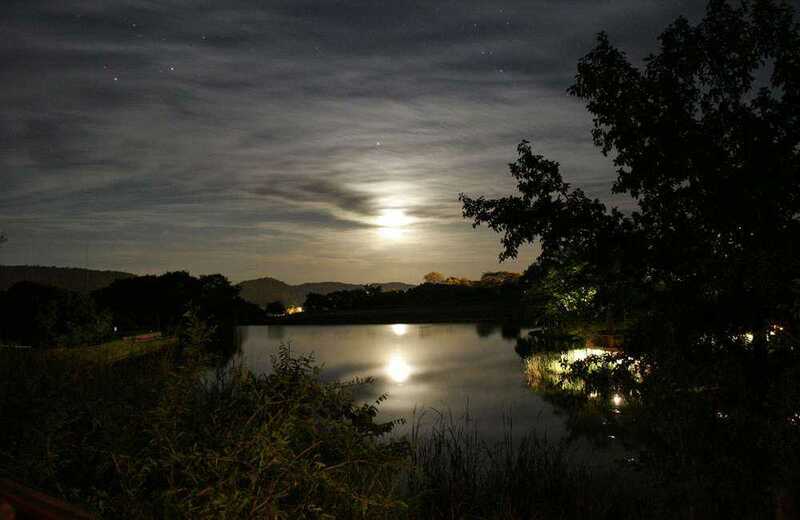 Turn off the N4 to the village of Dullstroom , journey over the Long Tom Pass and its magnificent panoramic views to Lone Creek Falls and the amiable forestry town of Sabie . Just beyond Sabie, the Mac Mac Falls are worth stopping for; and you can indulge yourself in a swim in the crystal-clear pools. Great getaway will definitely be back!! 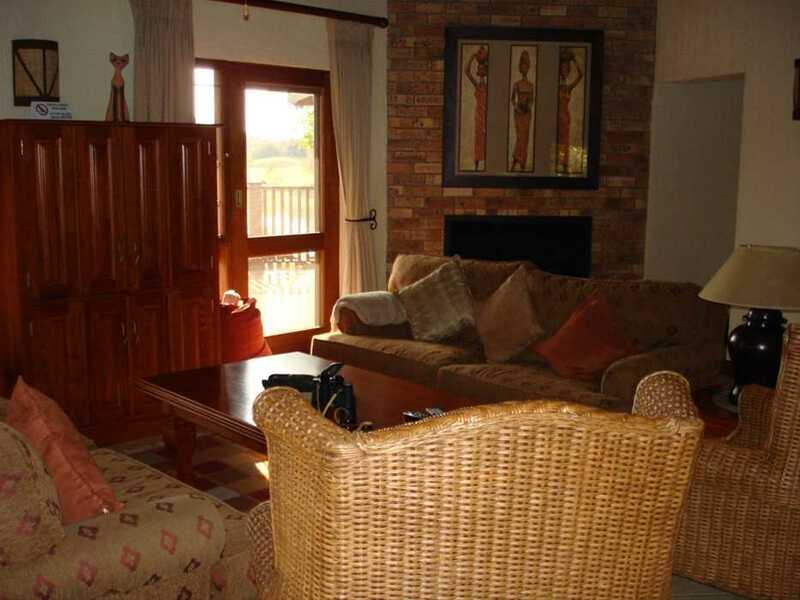 Great holiday home overlooking a dam at Kruger Park Lodge. 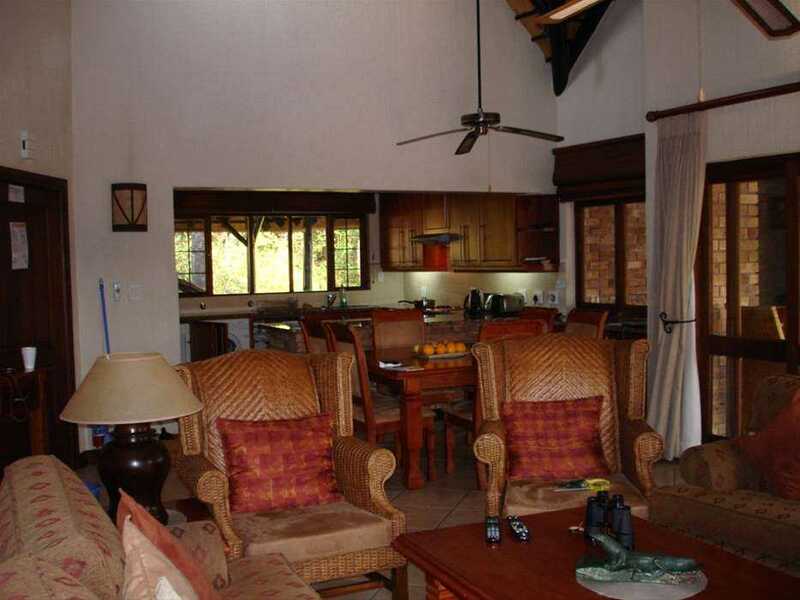 House has every comfort and appliance required for a very pleasant and comfortable stay. I would highly recommend this unit. 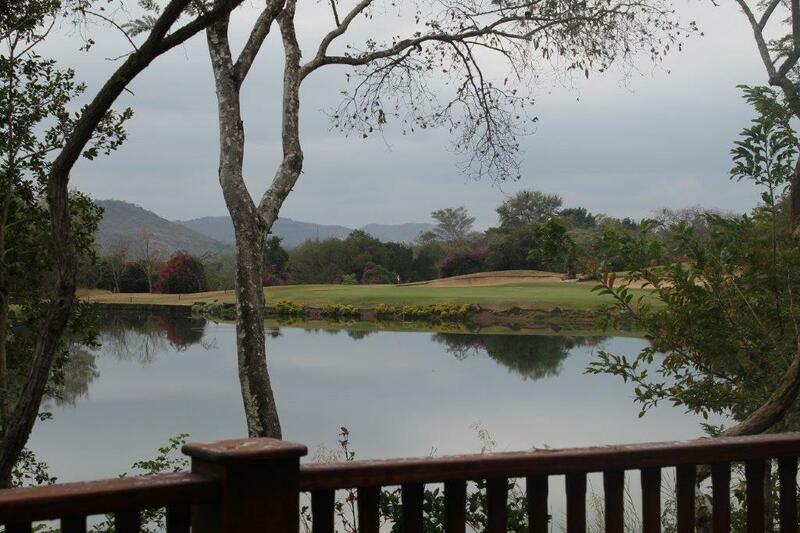 Fantastic resort, easy drive from Johannesburg and close to the Kruger Park Phabeni Gate. Tebogo, many thanks for organising. It was a wonderful experience, we rested and the house and scenery were beautifully. Thank you for sharing your lovely home with us. Nice home thats private and has wonderful extras like a dishwasher, wonderful outside space, etc. The only negative were the pillows. Take your own if you can. i had a quick reply on my query but after that replies to communication was very slow. Aside from my name all details on my booking form were wrong from address to telephone to email etc. This despite me asking for them to be changed. However this was minor. I would consider using My Holiday Homes in future. We had a terrific stay, beautiful weather and it was very peaceful. One of our family’s best holidays ever! We enjoyed the view over the dam. Dominique gave us very good service. Absolutely beautiful unit. One of the best in the park. Lovely view. Will be back!! 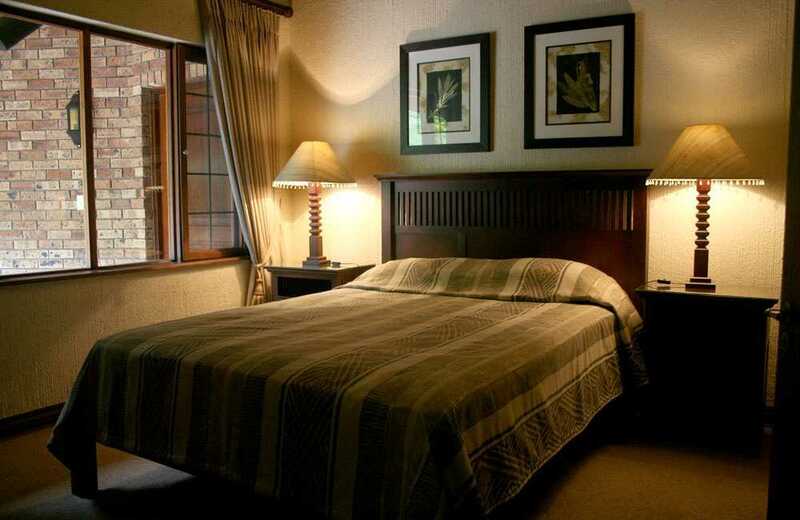 Great accommodation and a great stay. One minus,DSTV only came with a limited bouquet, so could not watch my favourite sports!! Very good service received, on time and correct. Thanks a lot! I wish only that the DSTV was a full Bouquet so I could watch the rugby, SA was playing Australia. Other than that it was amazing and we will definitely be going back again and again. I could well turn it it into a regular visiting spot. It was a pleasant surprise to have the home serviced daily and the lady was very efficient but in no way intrusive.